Dutch designer Nikki Lissoni introduces an exciting collection of necklaces with interchangeable pendants, popular with celebrities and fashionistas alike. 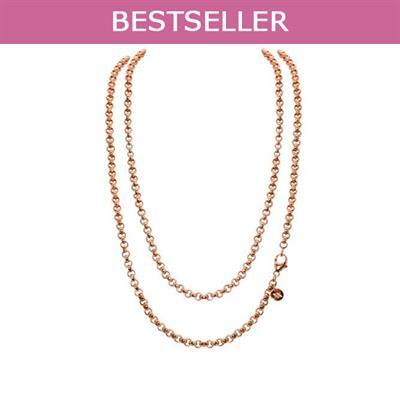 Start your must-have collection with this 80cm Rose Gold plated Necklace Chain then choose your carrier and coin and create your perfect look! Match Rose Gold with Rose Gold or mix it up and team with Yellow Gold or Silver for a stylish, new season look!